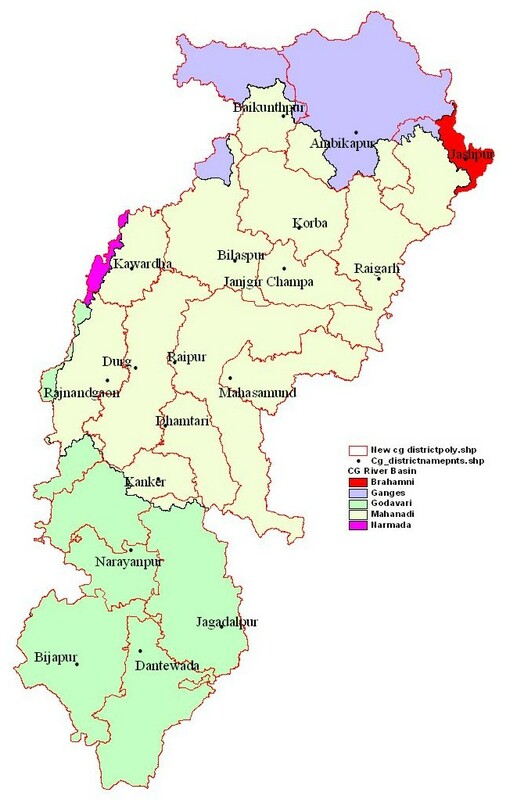 The State of Chhattisgarh has the geographical area as per GIS about 135,100 Sq km. The State is divided in to five river basins. Mahanadi Basin drains out 75,858.45 Sq km, Godavari Basin drains out 38,694.02 Sq km, Ganga Basin drains out 18,406.65 Sq km, Brahmani Basin drains out 1,394.55 Sq km and Narmada Basin drains out 743.88 Sq km of catchment area in the state.